While bleeding gums do not always seem like an urgent condition, they often indicate a larger health issue. If your gums are bleeding as a result of gum disease, they should be treated immediately to prevent the infection from spreading. No matter what the cause, patients suffering from bleeding gums in Sacramento, CA are encouraged to contact Dr. Andrea Joy Smith as soon as possible. Drastic fluctuations in hormone levels are a common side effect of pregnancy. Due to these fluctuations, the chances of developing gum disease are much higher during and after pregnancy. This means that frequent visits to Dr. Smith are encouraged to prevent the bacteria from entering the bloodstream and spreading to the fetus. As a result of bleeding gums, women with gum disease are up to seven times more likely to experience birthing complications such as low birth weight and preterm delivery. Certain medications such as aspirin, blood pressure medication, and birth control can have blood thinning properties that increase the frequency and intensity of bleeding gums. It is important to make Dr. Smith aware of any medications you are taking so that we can properly diagnose and treat your bleeding gums. As a result of inflammation caused by gum disease, the gum tissue will frequently bleed while brushing and flossing. If you are also experiencing symptoms such as bad breath and swollen gum tissue, there is a good chance that gum disease is present. 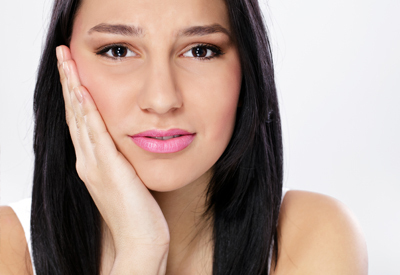 If treatment is sought during the early stages of gingivitis, the risk of physical illness is much lower. However, untreated gingivitis can quickly progress into more severe forms of infection. This means that treatment is more complicated and the risk of a serious physical illness is much higher. Patients suffering from bleeding gums in Sacramento, CA are encouraged to contact Dr. Smith for treatment as soon as possible. Call our office to schedule your consultation today!